Hey Guys, I have decided to keep my write up about the Donut Fest and the CFG meet separate. CFG meet followed the Donut fest, where Donut House threw in some samples of their own creations for our appraisal. 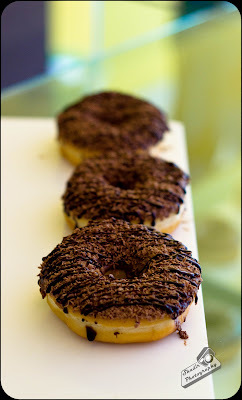 Firstly I must thank Donut House for conducting such an event and also to have CFG to be a part of it. After the Donut Fest winner was announced, some of the CFG member decided to retire and head home, leaving behind a few CFG members to sample the donuts which the house had made for the donut fest. 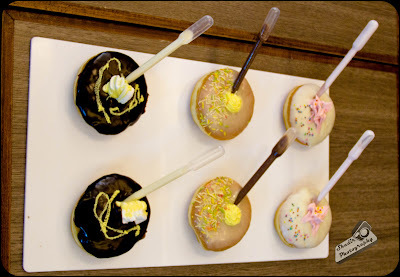 We started off with the sweet donuts with ink filler kind of attachment balancing on top of them.The ink fillers had white and dark chocolate filled inside them, depending on the donut. Definitely a very great creative use of those fillers. Makes them look great and also you get extra chocolate which you can squeeze over the donut or if you are crazy enough, pour it into your mouth. I am a big fan of dark chocolate but in this instance I loved the ones with the white chocolate. Also had a bit of the strawberry cream filled donut. They tasted good as well. 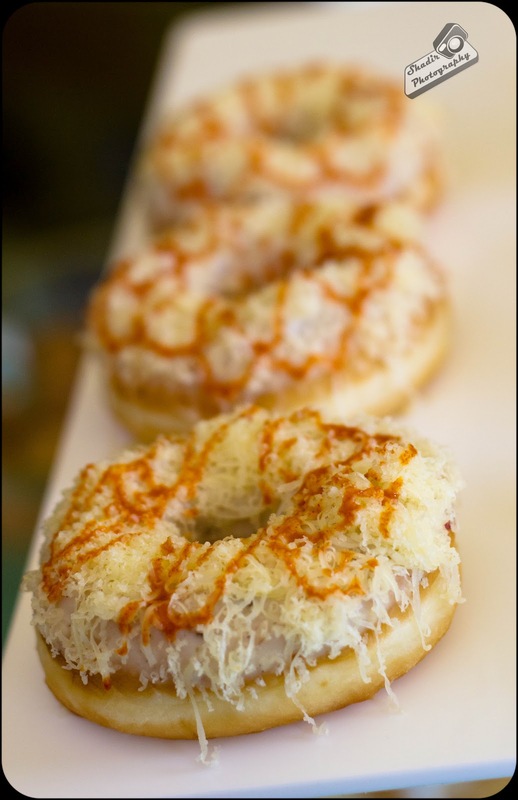 The sweet donuts are something which we would expect from every donut shop. 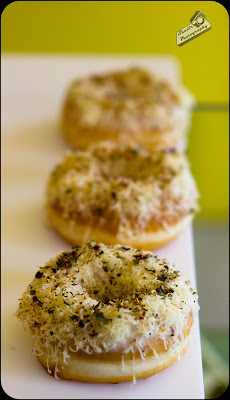 The highlight among the donuts were the savory ones. Definitely a different take on the them. Very, very creative. 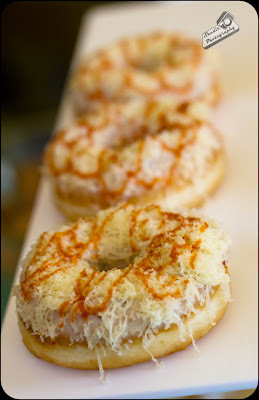 My personal favorite was the SOUTH INDIAN Donut. Do try it and you will love it. Very spicy and very different from what you expect from it. 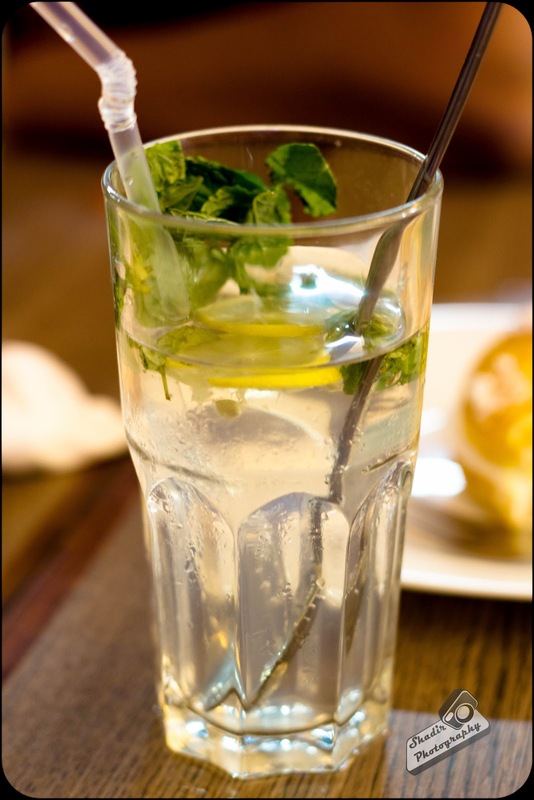 Be sure to have glass of water or something sweet next to you. You are going to need it. Some CFG members thought that throwing away the chilli will save their tongues but no!, it is hot right through the donut. Also, I liked the Italian Donut and the one with the herbs on it. 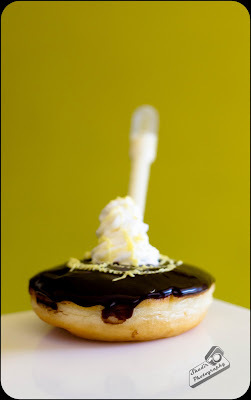 Since these have been created for the donut fest. I was informed they did not carry an official name yet. 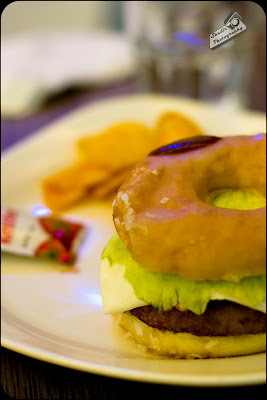 Last but not the least we sampled the Burger Donut. This is a very simple donut with a neat vegetarian patty inside it and having a sugar icing on top of the donut bun. A very different take to your regular donut. A must try, if you are in the mood for something different. 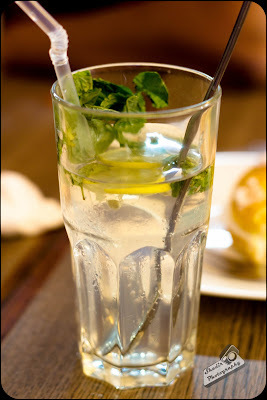 I also had a Peach Mojito to wash them down. 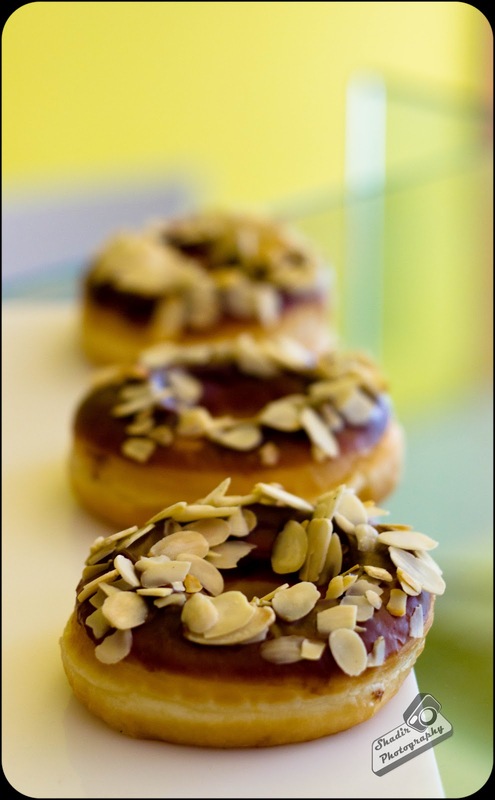 This was my first visit at donut house. So I decided to carry home a few of them. 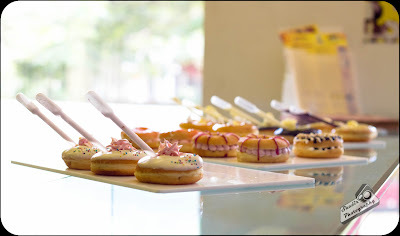 I had picked an assortment of donuts for Rs 230/- . My favorite of the lot was the white chocolate donut with chocolate chips on top of it. 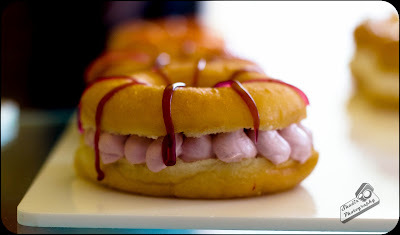 Finally I would like to say that none of these donuts could taste this great, unless they have a really good donut bun. Kudos to the donut chefs, for making simply superb donut buns. 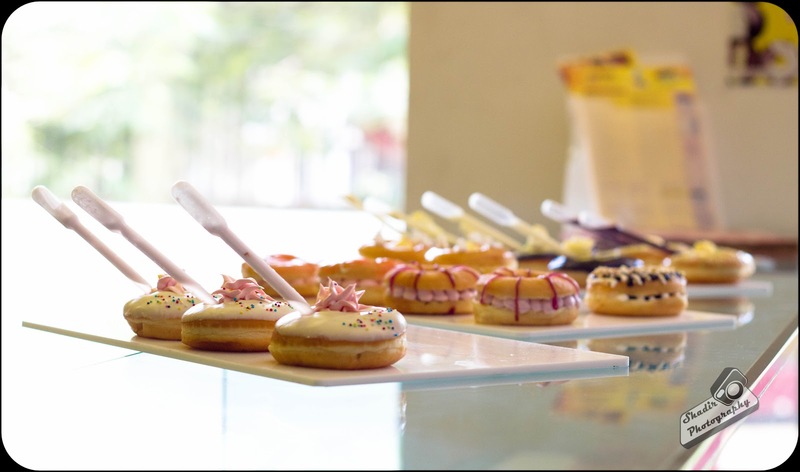 Donut House is located in Ethiraj Salai opposite to Ethiraj College. They also have a branch in Express Avenue.